Waverly Curtis is the joint pseudonym for mystery writing team Wavery Fitzgerald and Curtis Colbert. Curt Colbert is the author of the Jake Rossiter and Miss Jenkins mysteries, a series of hardboiled, private detective novels set in 1940’s Seattle. The first book, Rat City, was nominated for a Shamus Award in 2001. A Seattle native, Curt is also a poet and an avid history buff. 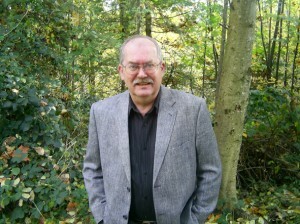 He is the editor of Seattle Noir, a collection of crime stories published in 2009. He was a judge for the Edgars in 2008 and is a member of the Mystery Writers of America. Curt and his wife, Stephanie, live in a Seattle suburb under the thrall of their cat, Esmeralda. Waverly Fitzgerald is the author of three historical romances set in Victorian London under the name of Nancy Fitzgerald. Ever since her first novel was published in 1981, she has been teaching writing classes for adults at various venues including the UCLA Writers Program, the University of Washington Extension, and regional conferences. She currently teaches at and works for Richard Hugo House, the literary arts center in Seattle. 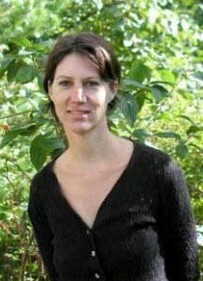 Waverly also writes non-fiction, and has published a book called Slow Time: Recovering the Natural Rhythms of Life. 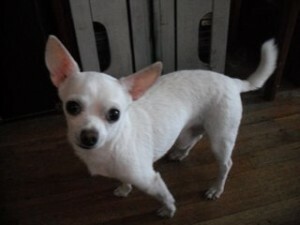 She lives in an apartment in the heart of Seattle with her daughter, Shaw, and Shaw’s Chihuahua, Pepe. Waverly and Curt met in a writing class in the late 1980s and have been working together ever since. Curt took Waverly’s novel writing class while he was writing his first novel. Waverly was his writing coach while he wrote his trio of historical mysteries set in Seattle. For about a year, they worked on twin novels in which Waverly’s protagonist, a female P.I. appeared as a sidekick in Curt’s novel about a hard-boiled Vietnam vet and vice versa. 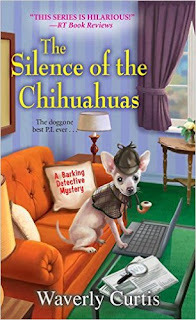 When Curt came up with the idea of a mystery featuring a talking Chihuahua named Pepe, Waverly asked if she could help and the collaboration began. Pepe is an eight-year old Chihuahua, adopted by Waverly’s daughter Shaw, when he was a puppy. He likes stuffed toys, especially if they squeak. He hates the rain, which is unfortunate since he lives in Seattle. Like his namesake character, he hates being dressed up and thinks he is much bigger than he is. Unlike his namesake, he has a sweet disposition and doesn’t talk much, but he does have his own Facebook page. Curt loves to start chapters; Waverly finishes them. Curt loves to elaborate and Waverly likes to edit. Curt’s humor is broader while Waverly’s humor is more situational. Together they are an unstoppable mystery novel writing team. Visit them on Facebook on at www.thepepenovels.com.